how can I get my team to have real discussions at our meetings, instead of just delivering updates? I manage a department of 20 people, who are devided in smaller teams of two to three people each. Each small team is in charge of exactly the same tasks but concerning a different geographical area. Some of the challenges/problems they face on a daily basis are part of bigger issues that concern the whole country, so therefore communication between them is really essential. Of course, I try my best at recruiting people who are really team players and enjoy sharing information, comparing tasks, like to see the bigger picture, and so on. I also do my homework as a manager and have monthly meetings with the whole department where each team explains what they are working with, problems they have if they need some help, etc. My hope with this was that it would invite an open discution between all my people and that information and ideas would flow between them. The issue I face is that during these meetings, no discussions arise. Each team presents their part, everyone nods, next team presents their part, everyone nods, and you get the picture. I have also tried organizing workshops and discussing this in smaller teams, but nothing seems to work. I have run out of ideas! Do you have suggestions for how to get a quite large team of people to openly discuss ideas, challenge each other, and all in all get a better synergy between everyone? I’d bet money that your team hates those meetings. Meetings that consist mainly or solely of round-robin information delivery are incredibly boring. I know that’s exactly what you’re trying to avoid and what you’re asking how to fix — but the structure itself (“go around the room and share what’s going on”) is probably what’s producing the results you’re seeing. It’s just not a great structure if you’re trying to stimulate real discussion. So I’d throw that format out entirely. Instead, pick one or two challenges that one of the teams is experiencing, send a short-write-up of those challenges to everyone at least a few days in advance (even better, have someone on that team write it up), and ask everyone to think about it and come prepared with thoughts to discuss. Then make that the meeting, with you facilitating to ensure that everyone gets air time and asking questions designed to draw out discussion. For example: “Jane, I know you dealt with something similar last year — can you talk about how you handled this on the X project?” or “Fergus, you’re sometimes skeptical of this approach — what’s your take on it in this context?” and so forth. That will force discussion … as you will be quite literally forcing it by the way you’ve structured the time. That said, you’ll want to pay close attention to how helpful this ends up being. It’s possible that what you’re looking for — a structured discussion of ideas and challenges — just might not work for this group. If you do this a few times and it doesn’t feel helpful, don’t keep forcing it. If that happens, I’d look at methods other than meetings to make sure people are communicating. For example, as the manager, you’re well-positioned to keep your eyes open for times when people should be sharing information or collaborating, and then ask them to do that (“you should consult with Bob because he’s had great success with this kind of thing” or whatever). Also, throw the problem out to your team and ask for their help in solving it — they’ll almost certainly have perspectives and ideas that you haven’t thought of. And through it all, keep your eye on the problem you’re trying to solve. Sometimes managers want this kind of discussion because it feels like the right thing to do but can’t quite articulate anything specific that it will solve. If that’s the case and your team is getting good results, you might not need to worry about this much at all. On the other hand, if you can point to specific issues that are arising because of the lack of this, that might point you to a much more targeted solution. For example, if the problem is that the Pacific Northwest team isn’t updating other regions on changes that will impact them, maybe you don’t need a group meeting to solve that; maybe you need regular one-on-ones between the leads on those two teams, or an email to the other regions, or something else entirely. Don’t get stuck thinking a 20-person meeting is the best or only way to get communication going; often it’s the least effective way to do it. I ding every one of these, but even so, speaking up in a large group setting sets my teeth on edge and my anxiety goes right up to 11. There’s a huge difference between a group of 2-3 and a group of 20. I’ve been a lurker for a long time and am commenting for the first time to echo this. As a new grad working my first job, I jump at any chance to share my ideas and fit myself into the team dynamic; but I am constantly on the verge of having panic attacks if the word “meeting” is attached to it. Is this a generational thing? I’ve seen comments like that often on this blog. I can’t imagine feeling that anxious in a group of coworkers. After the first month or so, or the first couple of meetings, any butterflies would be over for me. Has your generation been subjected to inordinate judging? Or perhaps not enough? Usually someone who has risen to a managerial level has more experience and self-confidence so I wouldn’t assume that’s the issue in OP’s case. Please don’t call it a generational thing, it’s so dismissive and is such a not-helpful-at-all generalization. How about calling it a “personality thing” or a “thing that may have developed over several years of working in dysfunctional workplaces where new ideas are judged and shot down spectacularly”. The idea that all workplaces are the same, or that all people of a certain age have the exact same experiences and personality and abilites … well, that’s just strange. I’m in my early 30s, so I often get the generational thing thrown at me. But I’ve been conditioned to have my anxiety trigger at the thought of meetings because of my last job, which was the very definition of “dysfunctional workplace where new ideas are judged and shot down spectacularly”. Considering it was my JOB to come up with new ideas (create public events), that didn’t work out so well. I’m starting a new job next month and I’m optimistic, but I know it’ll be hard to quell that anxiety, if ever. It’s really not the people I work with every day that stress me out. It’s the giant monthly meetings with the entire department (many of whom I don’t interact with otherwise, due to the spread-out nature of my department). Morning scrum has about 8 people on average, as low as 3 during optional holidays and as many as 12 around releases. That’s fine. Seriously. No problem. Our team environment is non-judgmental and we have fun while getting things done. Heck, my performance review 3 months in said that I was actively participating in team meetings well above expectations. When it’s a large meeting with a majority of people I barely recognize and don’t work with except in the general “oh I think I held the door for you on the way out of the bathroom two weeks ago but I don’t know your name I better smile now” sense, it feels like the stakes for saying something ‘wrong’ are much higher (because there are also higher-ups in the room) and the line between right and wrong things to say is a hell of a lot blurrier. That is anxiety-provoking. I mean, fear of public speaking is a pretty common thing, and it’s been common for ages. Some people just don’t like speaking in front of larger groups of people – especially if the group has proven themselves judgmental and/or nitpicky before. Yes, exactly. It’s not a generational thing, it’s a very, very, very common thing. I’m a day late to reply, but no I don’t think it’s really a generational thing. I think it’s more the formality of a meeting making someone feel nervous or like they have to prove themselves more than they would in a casual brainstorming session. I can also say that the reason I hate these type of meetings is precisely because my team works very cohesively together and shares information freely. I don’t save up my problems for the monthly round-robin. I go directly to my coworkers as soon as the problem pops up, either one-to-one, or by posting to the relevant Slack channel in our office (ie posting a problem with widget design to the Designers channel, or an issue with Facebook ads to the Marketing channel). Round-robins always feel forced to me, like I’m supposed to sit on a problem and not get help on it until that meeting rolls around? It’s just not my style. That kind of information-sharing happens informally and on-the-fly. I was going to suggest something like this. Having a standard communication app for all teams to use to communicate with each other and other teams can really help open those lines of communication. People can post questions and get answers as needed, rather than waiting for the regular meeting. Also, you can track to see what questions haven’t been answered and use those to get a conversation going at those meetings. We just had a company wide meeting at my firm of >200 people and I had to tally up the post-event survey results. I was shocked at how many people said they didn’t like public speaking. And these weren’t presenters — they were people who were asking questions in the Q&A portions. That doesn’t even register as public speaking for me. I recommended to TPTB that we need to incorporate public speaking training into our formal and informal professional development programs. I know not everyone will get to the point where they enjoy speaking/performing, but I hope we can at least get them past any extreme anxiety about it. There’s a dice game called ‘Cosmic Wimpout’ that has a rule that prevents you from scoring on all five dice showing the same face–you must reroll. The rule is called, “You may not want to, but you must.” I may have horrible anxiety about speaking to large groups (whether as an official speaker or asking questions or providing information)–but I do it anyway, because it has to be done. Good for you! I think that’s the endgame for most unavoidable but anxiety-causing things. It’s going to happen so figure out how to get through it with minimal stress. While I agree that offering training is a great idea, an option to encourage people to ask more questions (and allow for those who will just never be comfortable speaking in public) would be to ask for questions beforehand. If there are any overarching questions about business updates or company news, you can net a lot with relative anonymity of an email or survey monkey post. It won’t help with questions that arise due to the actual material presented, but my company does this and the Q&A section is always more robust when people can send in their thoughts before the meeting instead of asking them aloud. We are doing that as well — for the next company wide meeting, there will be some kind of anonymous way to submit questions. Be really on the outcomes you want for these meetings. If it’s a solution to a problem, be sure that the solution is one the team can actually implement. Otherwise you’re just spinning your wheels. There are a lot of facilitation and meeting techniques you can use, depending on what your goals are. Check out The Art of Hosting for some options (link in a separate comment). Wow! Thank you! I have worked with several of the tools mentioned on this website (World Café, Open Space, Appreciative Inquiry) and love the way they’ve been pulled together. Very useful, incredibly synergistic! I’m glad it’s helpful. It’s worth going to a training if they offer one near you – the whole Art of Hosting philosophy is more powerful than the individual tools. Here is a question, are these different groups competing for anything, or no? Even something like ranking teams in relationship to each other. Because if they are, well I kind of understand it. While you may see it as all one big group, they see it as helping out the competition. If I know that I’m getting judged on how my team i performing compared to how the other 5 teams are, then if John’s team has a problem, its not in my best interested to help. Ooof, 20 people meetings where you want to stimulate discussion? That’s rough. Bonus points if you’re trying to get “consensus” from that many people. I’ve been the victim of plenty of “go around the room” status update meetings, and they’re a complete waste of my time. I once had to tell my boss that what these people do doesn’t impact me on a daily (or even monthly) basis, and when I care about what’s going on, I go to their office and talk to them. If you expect me to give you meaningful feedback after a 90 second blurb on a subject I’m not thinking about in depth at the moment? Ain’t gonna happen. I’ve found over time that the productivity of a meeting is inversely proportional to the amount of attendees. For technical discussions where decisions have to get made? Three, maximum four people — but make them the right people. One or two analysts, the boss, and the boss’s boss if a big name signature is required. 20 people is too many for one large discussion, but you can easily break folks into smaller concurrent discussions. Happily, management changes in my office panned out well for once in that our “team update” meetings have pretty much been cut entirely. If the point of these meetings is to get people who don’t know what you’re doing to give you advice, I’m with Dan in not seeing how that’s going to work. I really don’t think what you want achieved in these meetings is doable because nobody’s equipped to advise anyone else. I think you should cut them out of the schedule, really–it might be important to you, but I don’t think it’s working for anyone else. On any team I’ve been on, the discussion will happen after the meeting via IRC or just getting together in small groups in the halls. In a big meeting like that I haven’t had enough time to think about the problem, and I’m away from my computer with all the resources I have to find the answers. This! One of the best adjustments I saw at $OldJob was when a meeting very much like this one explicitly changed focus from “discuss the issues in the meeting” to “identify who can discuss the issues in the meeting”. People quickly mentioned current working tasks and any concerns they had. If someone else had input to / insight to a current task or concern, they would identify themselves and the people interested in that topic would get together at the end of the meeting (or via email) to figure out a good time/way to talk. Then they’d all wander off and make sure they had all their pieces of whatever-it-was clearly understood and then have the actual conversation. It not only let them get prepared, it also prevented them from feeling self-conscious. If you have two people with a problem and five others who have insight, then in a 20-person meeting you have 13 people just standing around listening. Maybe they absorb it, and maybe it helps them in the future, but maybe it’s a total waste of their time…and the seven people having the discussion are probably trying to hurry to minimize that. And, if the 13 people who aren’t party to the after-discussion have a need to know a month or two later, either they’ll remember one or more of the people involved and approach them without waiting for the meeting, or it’ll come up in a meeting then. This, trying to solve problems with the whole group in a meeting is counterproductive. First, problems rarely affect everyone. This means that, when discussing problems in a staff meeting half of the people there are wasting their time. This problem doesn’t affect them, so they haven’t spent any time thinking about it and won’t have anything to say. This is why update meetings should include a no discussion rule. The goal is to make people aware of problems and potential synergies for discussion afterwords in the minimum amout of required time. Then interested people can discuss the problem, make a decision, and send out an email afterwords. I 100% agree. In my experience I find that these kinds of discussions evolve organically as long as you’re creating an environment where people are encouraged and enabled to collaborate – so your team members might recognize a problem, do some preliminary leg work to research it and create a potential solution, then loop you in for feedback. 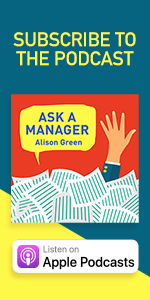 Your role as manager at that point is to do what Alison suggests in her last paragraph: use your vantage point from the top of the group to synthesize any potentially cross-team solutions. That may naturally include some meetings with all the relevant parties, but again, don’t force them if the team seems to be successfully working through the problem piece-meal (and then maybe you can have one wrap-up meeting just to present the findings/solution to ensure everyone’s on the same page and credit can be recognized for all those who were involved). Mr. Garibaldi, you’re sitting at my station, using my equipment. Is there a reason for this, or to save time should I just snap your hand off at the wrist? I wonder if you could also set up your meetings as opportunities for different teams to present an innovation or a solution or something they’re excited about that others might want to adopt. Then it becomes a time to put your best foot forward and for others to learn from best practices. I think it might be hard for people to bring a problem to the group because it suggests they don’t have the skills to address it. Moderating and encouraging discussion by asking specific questions, often to specific people, is the best approach here. Not only will discussion happen, but if you’re moderating it, you make sure that everyone who should be speaking is speaking, rather than allowing the more vocal people to dominate the conversation. There are plenty of meetings where I’d like to share my viewpoint, but either I can’t get a word in edgewise or I know that the more senior members of the team will dismiss whatever I say simply because I have less experience than they do, and that can be highly discouraging. Or someone has tons to say, but is super-aware they should let everyone have a time to talk, too, which always makes me suffer in these big meetings. Of course, this requires a high level of trust on your team, both in the willingness to share information and to ask for (and provide!) feedback in a public forum like this. And it’s kind of a chicken-and-egg question – do you share information in order to build trust, or do you build trust in order to share information? Probably both. But I would look at how your team communicates generally – are they already sharing information like this, and just need a better way of doing it? Or are they hoarding information and hence not really operating as a team? Try to get very specific about the problem you are trying to solve first, and then decide on a format for solving it, whether it’s a team meeting, a wiki, or both, or neither. Good luck! I want to second this. I’ve had good success with an intranet program (set-up much like a facebook newsfeed, but entirely work related). People would post new problems they were running into, and other could respond in comments, tagging issues and looping in other team members. I’m quite sure the program we used for this was pretty expensive, but it might be worth looking into. It was a pretty good way to get a group of people covering different territories to sync up meaningfully, since people often feel more comfortable making a quick post rather than occupying everyone’s time in a meeting. I worked on a team that wanted to use OneNote for this, and the problem we found was that people didn’t ever take the time to sit down and write out the types of things our manager wanted. It’s got to be a light-touch thing, and have an environment that’s not fire fighting, and would see sitting down for 20 mins to write something up as a positive. You can also invite one of the employees or teams to lead a discussion related to either a recent “win” (good outcome) or a postmortem on a project and what went well and what didn’t. You could also use Alison’s post about pre-mortems to have the whole group identify places where a new project could potentially have pitfalls based on what previous groups have experienced. If one of your employees develops a useful tool (an excellent spreadsheet for projecting teapot sales, for instance) or went to a training that is relevant to the whole team, invite them to demonstrate or give a presentation to the group. In one of my former jobs, everyone at a certain level and above (basically anyone in a job requiring a degree) had to give at least 1 presentation a year at one of our monthly meetings on a topic of our choosing as long as it was tangentially related to the work we did or the industry as a whole. It wasn’t especially fun, but it was good practice for making and giving presentations. Are there projects that several of these groups are participating in? If so, the updates should go over the project’s status, any problems/solutions, and the next steps for the project (along with asking what the next group needs for their part of the project). If there truly isn’t any need for discussion or problem-solving, reduce the number of meetings and instead send out regular email updates that include everyone’s updates and ask for questions or concerns. Save the meetings for when more in-depth discussion and problem-solving is needed. I had a boss who used to hold these types of meetings and they were such a waste of time and everyone dreaded them (although it was a small dept & company and none of our jobs had anything to do with the other, so that made it worse). But my boss had just graduated with her MBA and had this idea that bosses always held at least a weekly dept meeting, no matter how worthless. Is there a purpose for these meetings? Is there something you’re trying to address other than something abstract lime increased synergy? If not then maybe they’re not a good use of your time. My boss schedules long, drawn out meetings because he likes to socialize and doesn’t have enough to do. This is what I was having problems with – I can’t quite see, from the OP’s description, what it is she wants as the end goal. If it’s people who talk across teams and share info and solutions, I can’t quite see how these big meetings help. I was wondering if OP has ever been in the kind of meetings she’s hoping for, and wanting to replicate them, or if it’s something she wants that she hasn’t seen before – because the next steps vary hugely. Here are a couple of other structures I have used in the past to facilitate conversation. You might find them useful! – First facilitator spends 5 minutes explaining the problem to their group. The explanation should provide a little bit of back context, but mostly explain why the problem matters to the facilitator, and what they have done so far to try address it. – Group discusses the facilitator’s dilemma for 10 minutes, while the facilitator is silent. The group doesn’t necessarily try to solve the problem, but discusses: assumptions the facilitator might be making, alternate hypotheses that explain the issue, ways they have addressed similar issues in the past, resources the facilitator might be missing, etc. – Facilitator gets 5 minutes to recap what they heard, what they learned, and thank the discussants. – Repeat for the other three participants. – Then you can bring the whole group back together to talk about what they learned, commonalities in their dilemmas, what resources they can share with each other, etc. – Pick one of the big challenges your team is facing and put it somewhere everyone can read it. – Ask someone to read the challenge out loud, and ask the first Why – why is this happening? – Let your team discuss until they come up with 2-3 core reasons. – Repeat til you’ve gotten four layers in. – This activity is actually meant to push past superficial responses, but it also helps folks break out of their own parochial understandings to see impacts in other areas. – Each individual gets a sheet of butcher paper on which they write a challenge or question (or you can do this with the synthesized issues you’re finding at the center). – The whole group gets 15-20 minutes to walk around the room, each with a marker, to add any resources that might help with the challenge. People they should connect with, books/articles to read, organizations to follow, programs/apps that might help, funding sources, etc. – Reconvene the whole group to discuss what you found. What resources did you know in common and which were different? What is each person taking away about how they might tackle that issue in their own work? How will the group rely on each other to solve these problems going forward? These are really interesting techniques! I don’t lead meetings at work myself, but I’m snagging this post for some of the managers here. Thanks! The “four whys” is actually a common method in root cause analysis for IT issues (I think we normally use “five whys”). OMG no! This is just way too much work. All she wants is discussion! Just sharing ideas! Not workshops and conferences. What you’re describing in no way will change the mood of a meeting, just put a super over-engineered structure in the way of thinking and sharing. It’s really simple! I had one boss who called me “unprepared” any time I tried to get actual input from my coworkers at a meeting. It’s like he *wanted* us to buy those “I survived a meeting that should have been an email” T-shirts. I can’t agree enough with Alison’s comment about sending the topic write-up IN ADVANCE. As an introvert who needs time to process information, you will get far more out of me if I can prepare and plan for the conversation. Even if the teams are working on similar projects/tasks. I agree with a bunch of the other comments: 20 people is way too many people for this type of meeting, and really not conducive to a real conversation. 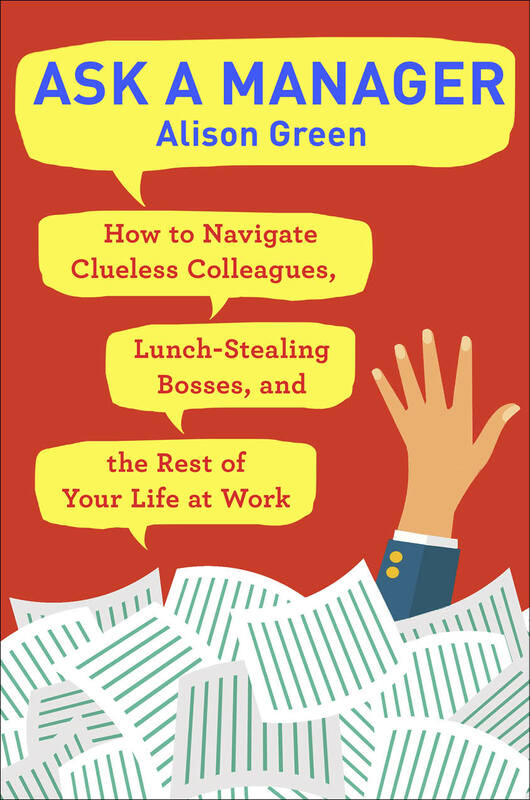 You should really take a moment to consider whether information sharing of the type you’re discussing (in a big public forum) is really necessary at all, and perhaps instead focus on directing employees to each other in less formal scenarios (as Alison suggests). That said, perhaps something like Slack, IRC or Yammer may be of better use to you, where folks can give each other a head’s up on issues without being forced to public speak and listen for an hour to people report on work that only tangentially affects them? Weekly meetings are NOT the place for vague discussions like this. I’ve been in these kinds of meetings and it just goes round and round, and rarely is anything resolved. It’s better to have a targeted discussion about specific issues. Or provide some of the tools, mentioned in the comments, to facilitate discussions outside the meeting. I’ve been in situations where everyone sits until their butts are sore listening to other people talk just to talk (i.e. updates). Then someone asks a question. The other participants get mad at the person asking the question because the meeting has already been going on for so long. All anyone wants to do is get out of the situation and get back to their office to get some work done. Basically, the environment is punishing for anyone who wants to discuss anything. Definitely, get rid of the lengthy updates and other useless components of the meeting. There’s a reason that committees that use Robert’s Rules of Order usually send out minutes in advance. Nobody wants to read that stuff in the meeting before voting on it. Ten-four to that. I’ve been on committees where the person who submitted the written report feels the need to “point out a few highlights.” Then the person basically highlights everything in the report. And the chair lets them!! I had a job like this. I hated those meetings. Generally speaking, I think the approach should be “What do we need to discuss?” and if there is something to discuss, have a meeting. Don’t ask “How can we get discussion going at the meeting?” with the assumption that A) there is something to discuss and B) there must be a meeting. I produce my best work when I am free of useless meetings. If I can just do my own thing, get assignments from my manager, run clarification questions by her or him, ask for help from team members when necessary, and offer help when I can; you will get the best work from me and from any team I’m on. If you have a question, send me an email. If you want me to coordinate something with such-and-such department, let me know, and I’ll get together with such-and-such department and coordinate whatever it is. * There were several proposals we were given ahead of time to think about and then needed to actually debate about the pros and cons of and come to somewhat of a consensus on to move forward (i.e., it would have been terrible to do over email). * There was a difficult/sensitive conversation to be had with a parent / client / customer / staff member. * We just needed a quick rah-rah no-longer-than-two-minutes pep talk, and then we were able to go back to work (even this can be done via email many times). Our team does a weekly standup with some quick announcements, followed by “wins and lessons learned”. We get a lot of great info that way and people have a direction and don’t feel they have to try to make up something to say. I’ve enjoyed that format over everybody give an update. I like the idea of smaller meetings, like 5 groups of 4 or 4 groups of 5, grouped by region or by common concerns. You’ll be able to suss out the group dynamics on a smaller scale and see if one person has been intimidating other people behind the scenes. Ugh, I used to manage a meeting of external partners where one guy arrived late, pulled out his iPad and was blatantly working on it through every conversation until we got to the agenda item he wanted, then was obnoxious about it – especially when he wanted to talk about things we’d already discussed. The chair rotated through members, and it was someone with a very dry sense of humour, who shut that nonsense down, and hard, which I’m always grateful for. You didn’t say if the meetings were in person or virtual, because the dynamic will likely be different when you can’t rely on body language for cues when to speak. Depending on how well team members know each other others outside their smaller teams. I have never met the folks I work with in person, so that it definitely adds that obstacle, as well. The meeting organizers added games like Candy Crush to our Adobe Connect meetings. The game is available a few minutes before the start of the meeting. I find myself chatting with people I would otherwise be to nervous to talk to. The brief focus away from work makes me see them as real people and I feel more comfortable speaking up when a relevant meeting topic comes up. I’m still trying to learn how this is done or I’d provide more details. OMG we have those same type meetings at my office except it’s managers of different areas that often have little to do with each other so we sit around for an hour or two and have to listen to what everyone else has been doing. Once in a while, they may be some overlap or something we work together on, but mostly we sit there waiting for our turn to talk and trying not to fall asleep. I have the opposite situation currently – nobody knows what anybody else is doing, even closely related units. There must be some middle of the road there. Argh!, I feel you! I’m new at my job and I don’t hate our round-robin meeting. Otherwise it would be hard to know what others are doing and how we can help each other. Maybe the veterans like it less, but for newbies it’s really useful. Granted it’s only about six people, and usually takes less than 30 minutes, but basic updates can be useful. One thing that can help get this kind of discussion is if you can identify patterns, and get the team to start considering these, rather than focusing on their own areas of expertise. Are there things that regularly get brought up by more than one group in the meetings? Sometimes, the job of a manager is to take that step back and view things from a broader perspective. If you can bring some of that perspective to the team, it can help get conversations going. – Any “oh by the ways”? Making this format successful does require a strong hand (no matter what format you use, this is a necessary skill!) in keeping the conversation brief and making it clear what types of answers are desired, but that requires less enforcement over time. But we now have a weekly meeting with about a dozen regular attendees that is usually done in under 30 minutes (we keep an hour scheduled just in case) and feedback from the team has been very positive. They complain when we have to cancel them. Bah – the 3rd through 5th bullets were supposed to be sub-bullets. Those are the 3 questions. Uggggh, we have something similar in my office. At our weekly staff meeting, we used to go around for each person to report on what they did the previous week and what they were working on the week coming up. The two big problems with this: 1. We’re a small team, so for the most part we all know what’s going on. I talk to all of my coworkers every day! 2. Just based on the work we do, sometimes you may spend the bulk of the week working on something that isn’t really worthy of group discussion, especially the admin-type work that we all contribute to. We all felt really put on the spot and would often mention those admin type things (“well, I spent three hours on the phone with tech support for the copier on Tuesday”) or, if we worked on one large task all week, listed out some of the more minute details/pieces, just to feel like we were justifying, hey, I really was working this week! Such a waste of time. As the person in the office who does the largest portion of that worthwhile-but-not-worth-discussing admin work, I actually raised this with my boss and said that I thought the staff felt like we had to justify our time and grasp at things to make our list of work sound fuller. His response was to “change” the meetings so now we still go around the room one by one, but you’re not expected to give a full accounting of your past/next week. You just say whether you have anything big going on. Which… doesn’t really help. Because everyone’s still put on the spot, you now decide whether you want to talk about some of the same dumb stuff we used to talk about, or straight-up announce “I don’t really have anything.” That still doesn’t feel great! Unfortunately, this boss has shown that he doesn’t really take staff input – in ways other than what I said above – so it doesn’t give me any motivation to try to raise it again. So, I don’t know what this comment is. A vent? Perspective from the other side that you good managers can think about, even if mine won’t? Oh man, do you work at my last job? haha. Because that’s exactly what our weekly staff meetings were too. You either had to list every little thing you did to sound busy, or you could throw up your hands and say you had nothing to report, which made it sound like you weren’t working. We were absolutely NOT allowed to discuss anything that was a problem, or offer opinions on anything, though, even if it seemed like someone was hinting that they needed help. Our executive director wasn’t interested in anyone’s actual thoughts– this was just her way of finding out what we were all doing. I don’t know why she couldn’t have just asked us all for weekly email updates. With such a small staff, all of us knew what the others were doing, and if we didn’t, it probably wasn’t something that affected us. Ohhh, well here’s how you know it’s not the same job – we DO also have to submit written reports as well. Which means most of us print those out and bring them to the meeting to read from. So again, the only difference is that everyone used to pretty much go over their whole list, and now we either still do OR we scan through and say “welp, not much here.” ha. I’m sitting in one of those meetings right now. One project manager has been talking for 15 minutes so far. Yeah, he had a lot of projects, but still… And he’s not the most long-winded one here. At my former office, there were updates with no discussion. The first person would take 2 minutes and talk about three things they were working on, and the next person would take 3 minutes and talk about 4 things they were working on. Presenter inflation. And yeah, we all HATED those meetings. I begged my boss to bring a kitchen timer and tell everyone they had three minutes. He never did, but I’m still convinced there’s some usefulness to that approach. – What concrete problem are you trying to solve? For example, did the West team run into an issue 6 months ago, solve it and then the South team ran into 1 month ago and solved it on their own, without knowing another team had faced the same issue. If you can’t cite concrete, specific problems that this meeting is supposed to solve, then this is not a good meeting. It’s “we’re a team and teams need to meet, so we should meet because SYNERGY”. I don’t think the problem is the people in your department, the problem is the meeting itself. 20 people cannot discuss “how things are going” in what, an hour? 90 minutes? If you keep having the meeting, my advice is for you to adjust your expectation of what it will be and stop judging your employees because the meeting isn’t living up to your expectations, because your expectations will never be met with the current way the meetings are structured. I work in a similar sized team. Total department size between 15-20, basically six mini-teams of 2-3, with the team being split across North America, Europe and Asia. What works for us is a monthly whole-team meeting — primarily used for the boss of the whole group to share information out to the team. There is also a weekly meeting with each of the team leads (so 7 people in the meeting). 2 times a year, we get the whole team together for a face to face intensive workshop of 2 full days. The face to face time has become invaluable as it is the forum where we can really get together & dig into specific topics (ie competition, or a particularly challenging process). it also facilitates some team-building to help learn that each mini-team is facing many of the similar challenges. Face to face is hugely valuable to strengthen the personal bonds that form the foundation of all the remote work we need to do through the year. Would you be my manager, pleeeeease? A co-worker and I were talking about this very thing not 5 minutes ago, but in reverse. I was saying that our manager is really good at shutting down discussion, and our staff meetings are the way you describe yours. And just as deadening. Two hours of reporting around the table, for five people. But Alison’s response gave me the chills, which is unusual because I usually think she’s on target. What my co-worker said about her team is that they have developed a culture of joint problem solving which often takes the form of them – get this – just talking to each other. It is usually completely spontaneous, but there is something in the water that makes this perfectly fine, even preferable to meetings. I completely agree. If you – manager – can create an environment where people feel comfortable spinning around in their chairs and having a good old chin wag then that’s likely to carry over into meetings – if you let it. What kills open discussion, critical thinking, and creativity is structure. Maybe your business isn’t a largely creative endeavor, but you still have human beings each with their own perspective and experience. Use it. One-on-one meetings are fine now and then but they can become an excuse to just have a meeting. “We’ll have them when we think we need them but not regularly” becomes “Outlook invitation for One-on-One for next 37 Thursdays at 9 am.” Meetings rarely solve anything, and there are already too many of them. A good rule: If you add a regular meeting, eliminate another one. Sometimes a discussion will go off on a tangent. That’s a good thing, and people will usually recognize it and bring it back once they have tired of discussing whether the 1927 Yankees or the 1948 Dodgers were a better team. You also have to send the right signals. My manager has some stock phrases she uses to shut down discussion: “we aren’t discussing that right now”, “I want to keep this at a ‘high level'”, or “we have a lot of stuff to get through.” And don’t moderate the meeting – let it flow. I know this is all anathema in the “keep your head down, your mouth shut, and hurry up and do it” mode of corporate practice today, but that’s why it’s all the more important to seek a different path when SOP doesn’t work. And it’s very low risk; you can change it any time (but give it a good chance first) so there is no reason not to try it. We have a monthly all staff meeting. I think it is because there is a monthly faculty meeting? I am about Togo to it this morning and it is boring as all get out. We now have mostly announcements, and then presentations (on things like healthy eating) or team building activities, and discuss party planning. It makes me crazy. Disclaimer: I am an Agile project manager and so I have pretty solid belief in the power of Agile. This may sound like a commercial but I honestly think this is really applicable to your situation. One way you can adjust these meetings is to make them more retrospective-like, instead of just status-like. There’s this book I read called Agile Retrospectives: Making Good Teams Great. It’s meant to apply to software development teams or other teams operating within an Agile methodology, but honestly this was probably the single most helpful resource for me to understand what I wanted to get out of meetings and how to get people to participate. There’s some theory of Agile, which is helpful, but also a bunch of exercises you can do to collect feedback and synthesize it, as a group. The key is that it makes you think about what your goals are for the meeting, and to be explicit about what they are and how you’re going to get there. 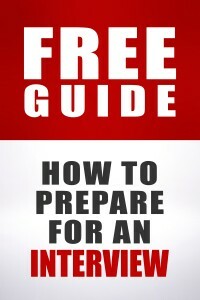 I think it’s worth a read for anyone who has to run group or project meetings.